“USFS” redirects here. For the figure skating organization, see U.S. Figure Skating. For the other U.S. Government branch, see United States Foreign Service. The United States Forest Service (USFS) is an agency of the U.S. Department of Agriculture that administers the nation’s 154 national forests and 20 national grasslands, which encompass 193 million acres (780,000 km2). Major divisions of the agency include the National Forest System, State and Private Forestry, Business Operations, and the Research and Development branch. Managing approximately 25% of federal lands, it is the only major national land agency that is outside the U.S. Department of the Interior. The concept of the National Forests was born from Theodore Roosevelt’s conservation group, Boone and Crockett Club, due to concerns regarding Yellowstone National Park beginning as early as 1875. In 1876, Congress formed the office of Special Agent in the Department of Agriculture to assess the quality and conditions of forests in the United States. Franklin B. Hough was appointed the head of the office. In 1881, the office was expanded into the newly formed Division of Forestry. The Forest Reserve Act of 1891 authorized withdrawing land from the public domain as “forest reserves,” managed by the Department of the Interior. In 1901, the Division of Forestry was renamed the Bureau of Forestry. The Transfer Act of 1905 transferred the management of forest reserves from the General Land Office of the Interior Department to the Bureau of Forestry, henceforth known as the United States Forest Service. Gifford Pinchot was the first United States Chief Forester in the Presidency of Theodore Roosevelt. Significant federal legislation affecting the Forest Service includes the Weeks Act of 1911, the Multiple Use – Sustained Yield Act of 1960, P.L. 86-517; the Wilderness Act, P.L. 88-577; the National Forest Management Act, P.L. 94-588; the National Environmental Policy Act, P.L. 91-190; the Cooperative Forestry Assistance Act, P.L. 95-313; and the Forest and Rangelands Renewable Resources Planning Act, P.L. 95-307. The mission of the Forest Service is “To sustain the health, diversity, and productivity of the Nation’s forests and grasslands to meet the needs of present and future generations.” Its motto is “Caring for the land and serving people.” As the lead federal agency in natural resource conservation, the US Forest Service provides leadership in the protection, management, and use of the nation’s forest, rangeland, and aquatic ecosystems. The agency’s ecosystem approach to management integrates ecological, economic, and social factors to maintain and enhance the quality of the environment to meet current and future needs. Through implementation of land and resource management plans, the agency ensures sustainable ecosystems by restoring and maintaining species diversity and ecological productivity that helps provide recreation, water, timber, minerals, fish, wildlife, wilderness, and aesthetic values for current and future generations of people. The everyday work of the Forest Service balances resource extraction, resource protection, and providing recreation. The work includes managing 193,000,000 acres (780,000 km2) of national forest and grasslands, including 59,000,000 acres (240,000 km2) of roadless areas; 14,077 recreation sites; 143,346 miles (230,693 km) of trails; 374,883 miles (603,316 km) of roads; and the harvesting of 1.5 billion trees per year. 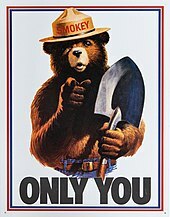 Further, the Forest Service fought fires on 2,996,000 acres (12,120 km2) of land in 2007. The Forest Service Research and Development deputy area includes five research stations, the Forest Products Laboratory, and the International Institute of Tropical Forestry, in Puerto Rico. Station directors, like regional foresters, report to the Chief. Research stations include Northern, Pacific Northwest, Pacific Southwest, Rocky Mountain, and Southern. There are 92 research work units located at 67 sites throughout the United States. there are 80 Experimental Forests and Ranges that have been established progressively since 1908; many sites are more than 50 years old. The system provides places for long-term science and management studies in major vegetation types of the 195 million acres (790,000 km2) of public land administered by the Forest Service. Individual sites range from 47 to 22,500 ha in size. develop of systems for managing and restoring forests, range lands, and watersheds; investigate the workings of forest and stream ecosystems; characterize plant and animal communities; observe and interpret long-term environmental change and many other themes. ). Each encompasses a broad geographic area and is headed by a regional forester who reports directly to the Chief. The regional forester has broad responsibility for coordinating activities among the various forests within the region, for providing overall leadership for regional natural resource and social programs, and for coordinated regional land use planning. Northern Region: based in Missoula, Montana, the Northern Region (R1) covers six states (Montana, Northern Idaho, North Dakota, Northwestern South Dakota, Northeast Washington, and Northwest Wyoming), twelve National Forests and one National Grassland. Pacific Northwest: based in Portland, Oregon the Pacific Northwest Region (R6) covers two states (Washington and Oregon), seventeen National Forests and one National Scenic Area. Eastern: based in Milwaukee, Wisconsin, the Eastern Region (R9) covers twenty states (Maine, Illinois, Ohio, Michigan, Wisconsin, Minnesota, Iowa, Missouri, Indiana, Pennsylvania, West Virginia, Maryland, New York, Connecticut, Rhode Island, Massachusetts, Vermont, New Hampshire, Delaware, and New Jersey), seventeen National Forests, one Grassland and America’s Outdoors Center for Conservation, Recreation, and Resources. The Forest Service oversees 155 national forests and 20 grasslands. Each administrative unit typically comprises several ranger districts, under the overall direction of a forest supervisor. Within the supervisor’s office, the staff coordinates activities among districts, allocates the budget, and provides technical support to each district. Forest supervisors are line officers and report to regional foresters. The Forest Service has over 600 ranger districts. Each district has a staff of 10 to 100 people under the direction of a district ranger, a line officer who reports to a forest supervisor. The districts vary in size from 50,000 acres (200 km2) to more than 1 million acres (4,000 km2). Most on-the-ground activities occur on ranger districts, including trail construction and maintenance, operation of campgrounds, and management of vegetation and wildlife habitat. Uniformed Law Enforcement Officers (LEOs) enforce federal laws and regulations governing national forest lands and resources. LEOs also enforce some or all state laws on National Forest Lands. As part of that mission, LEOs carry firearms, defensive equipment, make arrests, execute search warrants, complete reports, and testify in court. They establish a regular and recurring presence on a vast amount of public lands, roads, and recreation sites. The primary focus of their jobs is the protection of natural resources, protection of Forest Service employees and the protection of visitors. To cover the vast and varied terrain under their jurisdiction, they use Ford Crown Victoria Police Interceptors, special service SUVs, horses, K-9 units, helicopters, snowmobiles, dirt bikes, and boats. Special Agents are criminal investigators who plan and conduct investigations concerning possible violations of criminal and administrative provisions of the Forest Service and other statutes under the United States Code. Special agents are normally plainclothes officers who carry concealed firearms, and other defensive equipment, make arrests, carry out complex criminal investigations, present cases for prosecution to U.S. Attorneys, and prepare investigative reports. All field agents are required to travel a great deal and usually maintain a case load of ten to fifteen ongoing criminal investigations at one time. Criminal investigators occasionally conduct internal and civil claim investigations. Forest Service team uses a 106 mm Recoilless Rifle for avalanche control at Mammoth Mountain in the Inyo National Forest in California. Note the Minarets in background. The mission of the State and Private Forestry program is to provide technical and financial assistance to private landowners, state agencies, tribes, and community resource managers to help sustain the United States’ urban and rural forests and to protect communities and the environment from wildland fires, insects, disease, and invasive plants. The program employs approximately 537 staff located at 17 sites throughout the country. The delivery of the State and Private Forestry program is carried out by eight National Forest System regions and the Northeastern Area. The research and development (R&D) arm of the U.S. Department of Agriculture (USDA) Forest Service works to improve the health and use of the United States’ forests and grasslands. Research has been part of the Forest Service mission since the agency’s inception in 1905. Today, Forest Service researchers work in a range of biological, physical, and social science fields to promote sustainable management of United States’ diverse forests and rangelands. Research employs about 550 scientists and several hundred technical and support staff, located at 67 sites throughout the United States and in Puerto Rico. Discovery and technology development and transfer is carried out through seven research stations. Research focuses on informing policy and land management decisions and includes addressing invasive insects, degraded river ecosystems, or sustainable ways to harvest forest products. The researchers work independently and with a range of partners, including other agencies, academia, nonprofit groups, and industry. The information and technology produced through basic and applied science programs is available to the public for its benefit and use. In addition to the Research Stations, the USFS R&D branch also leads several National Centers such as the National Genomics Center for Wildlife and Fish Conservation. The Forest Service plays a key role in formulating policy and coordinating U.S. support for the protection and sound management of the world’s forest resources. It works closely with other agencies such as USAID, the State Department, and the Environmental Protection Agency, as well as with nonprofit development organizations, wildlife organizations, universities, and international assistance organizations. The Forest Service’s international work serves to link people and communities striving to protect and manage forests throughout the world. The program also promotes sustainable land management overseas and brings important technologies and innovations back to the United States. The program focuses on conserving key natural resource in cooperation with countries across the world. More than 80% of the 193 million acres (780,000 km2) of land managed by the United States Forest Service is in the western states. 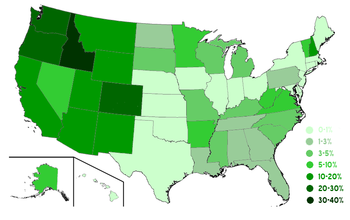 This map shows USFS lands as a percentage of total land area in each state. In August 2014, Tom Vilsack, the Secretary of Agriculture, announced that the agency will have to put $400 to $500 million in wildfire prevention projects on hold because funding for firefighting is running low as the fiscal year ends. The decision is meant to preserve resources for fighting active fires burning in California, Oregon, Washington and Idaho. Politicians of both parties have indicated that they believe the current funding structure is broken, but they have not agreed on steps to fix the funding allocation. The U.S. Forest Service achieved widespread awareness during the 1960s, as it became the setting for the long running classic TV show Lassie, with storylines focusing on Lassie’s adventures with various forest rangers. The iconic collie’s association with the Forest Service led to Lassie receiving numerous awards and citations from the U.S. Senate and the Department of Agriculture, and was partly responsible for a bill regarding soil and water pollution that was signed into law in early 1968 by President Lyndon Johnson, which was dubbed by some as “The Lassie Program”. Another controversial issue is the policy on road building within the National Forests. In 1999, President Clinton ordered a temporary moratorium on new road construction in the National Forests to “assess their ecological, economic, and social values and to evaluate long-term options for their management.” Five and half years later, the Bush administration replaced this with a system where each state could petition the Forest Service to open forests in their territory to road building. A 2017 draft report describing the legal basis which provides federal land managers a scope of decision making authority exceeding that of state fish and game departments has proven unexpectedly controversial. In 2018 the Forest Service is reprimanded by the 4th U.S. Circuit Court of Appeals. The Service had issued permits for the Atlantic Coast Pipeline to build through parts of the George Washington and Monongahela National Forests and a right of way across the Appalachian Trail – in violation of both the National Forest Management Act and the National Environmental Policy Act. ^ a b “Fiscal Year 2016 Budget Overview” (PDF). USFS. p. 2. Retrieved 2015-08-17. ^ “Office of the Chief”. Agency Leadership. US Forest Service. ^ “By the Numbers | US Forest Service”. www.fs.fed.us. Retrieved 2018-08-07. ^ a b This article incorporates public domain material from the United States Forest Service document “Agency Organization”. ^ a b General Accounting Office (February 11, 2009). “Federal Land Management: Observations on a Possible Move of the Forest Service into the Department of the Interior”. ^ Sheldon, William G. “History of the Boone and Crockett Club Pg 64-80”. Scholar Works, University of Montana. Boone and Crockett Club. Retrieved 1 February 2017. ^ a b c d “The U.S. Forest Service – An Overview” (PDF). U.S. Forest Service. ^ Heinrich, Bernd (December 20, 2009). “Clear-Cutting the Truth About Trees”. The New York Times. Retrieved May 26, 2010. ^ The Land We Cared for… A History of the Forest Service’s Eastern Region. 1997, Conrad, David E., Forest Service. ^ “Western States Data Public Land Acreage”. wildlandfire.com. Archived from the original on 2011-08-24. Retrieved 2010-11-07. ^ “The Story of Smokey Bear”. United States Forest Service. Archived from the original on 2010-11-29. Retrieved 2008-01-26. ^ Freking, Kevin. “MONEY ALLOCATED FOR FIGHTING FIRES TO RUN OUT”. Associated Press. Retrieved 6 August 2014. ^ a b “Fiscal Year 2013 Budget Overview” (PDF). USFS. ^ a b “Fiscal Year 2015 Budget Overview” (PDF). USFS. ^ a b “Fiscal Year 2018 Budget Overview” (PDF). USFS. ^ a b “Lassie Television Series”. That’s Entertainment. 7 February 2013. Retrieved 13 March 2013. ^ “Awards”. The Lassie Network. Archived from the original on 2013-07-14. Retrieved 2013-08-09. ^ “Finding Aid for the Edmund S. Muskie Papers, Series XV: Moving images 1948-2000MC105.15”. bates.edu. ^ “Home”. Roadless Area Conservation. US Forest Service. ^ “Taxpayers Losing Money to Loggers on U.S. Land, Forest Service Admits”. Los Angeles Times. November 22, 1997. Retrieved 2009-04-03. ^ Chaney, Rob (2017-09-25). “Forest Service tried to quash paper debunking Montana wildlife authority”. Missoulian. Retrieved 2017-09-25. ^ Wamsley, Laurel (14 Dec 2018). “Quoting ‘The Lorax,’ Court Pulls Permit For Pipeline Crossing Appalachian Trail”. NPR. Retrieved 15 December 2018. “USDA Forest Service Research Publications”. Retrieved January 23, 2006.